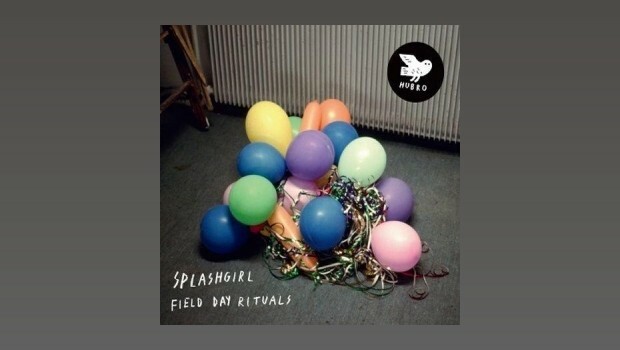 Languishing in my pile of “to do” CDs since the turn of the year Field Day Rituals, the fourth album by Norwegian trio Splashgirl, released in February last year is a little outside my usual remit of left field and sometimes avant progressive music of any genre. I have played it a few times previous to this review, and now after a concentrated bout of listening, I hope I can transmit my perspective in an adequate fashion to you, dear reader. This, as I say, is outside my normal reviewing fare and it arrived through my letterbox after I was intrigued by a track included in Sid Smith’s Best of 2013 list. The music can be described as jazz-classical, balanced on the fulcrum of the piano of Andreas Stensland Løwe. The opening track Long Story is a good indicator of the clever use of economic playing, utilising a deft skill in the “less is more” department. That is not to say that melody is lost in the vast open spaces of minor key ambience, far from it, as All The Vowels Missing proves. Here, Andreas enters into a conversation with the suitably understated drumming of Andreas Lønmo Knudsrød, with occasional electronica colour splashes from Timothy Mason. Dulcimer has the feel of a Karl Jenkins’ Soft Machine melody, filtered through a dark Enoesque ambient sensibility. It takes the music to another level, with more electric instrumentation than had previously appeared on the album, thus varying the melancholic dynamic with a subtle hint of movement. The viola adds its mournful soundstage to the funereal Mass, and takes the lead in the first part of this slow march of a tune, that eventually pans out into sad languid ambience. Never Been Anywhere Before starts in a similar fashion, with added swathes of treated viola,before being overtaken by the piano, later joined by the drums; the pace gradually increases and in the context of the earlier tunes is now almost urgent. Scandinavian introspection and reflective solitude is present and correct on Field Day Rituals, a trait that runs through the many genres of this highly musically productive part of the world. This navel-gazing returns (not with a vengeance, obviously! ), and then some on The Portal, and Twixt It And The Silence. The album ends with some fine double bass playing from Jo Berger Myhre on I Feel Like I Know Her, although the mysterious and well-crafted atmospherics on Field Day Rituals prevents one from truly knowing Splashgirl, an enigmatic band if ever there was one. I must admit I quite enjoyed this album, for it is a departure from the sturm und drang of a lot of my never diminishing reviewing pile. It has been good for the soul.